Happy Wednesday Everyone! I haven’t mentioned this before but they are filming the new Captain America 2 in my city at the moment! They have been filming all over the city, and I’ve been walking around film sets for the last 2 weeks. Its a really cool experience to walk by makeup trailers on your walk home from work. Its also really cool to watch them filming all the fight scenes. They have closed the road directly in front of my building for the past week and today they filmed an intricate chase and crash scene. So I got to watch cars blowing up and fake gun fire out of my work window for the last 2 weeks! So in honor of my life being surrounded by a movie set, I figured I would show you guys a polish inspired by someone from the silver screen! Picture Polish “Monroe” is a cranberry scattered holographic. This polish is honestly stunning! The holographic in this polish comes across as a nice subtle holo in some lights and a lit from within, fuchsia glowing embers in other lights. Either way, this just looks rich on your nails. 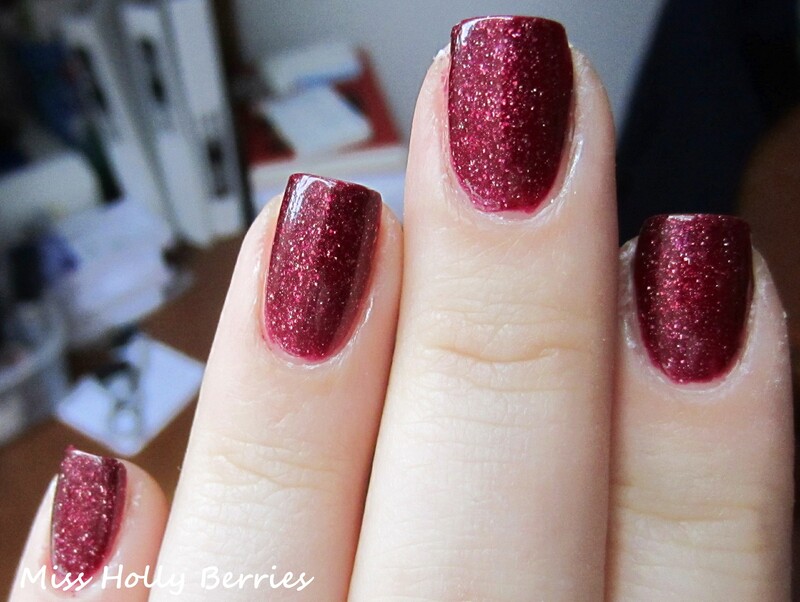 Its a great spin on a vampy berry red that is so iconic, just like the classic Hollywood starlet this is named after. The formula on this polish was fantastic. Every single Picture Polish I own is spot on when it comes to formula. This is 2 coats, but if you’re in a rush it may be possible to get even coverage in 1 thick coat. The dry time is pretty fast and the consistency is the perfect middle, not to thick and not to thin. Overall, I’m in love! This has become one of my favorite reds in my collection. What do you guys think? Do you have any Picture Polish shades? What are your favorites? ← Summer Nail Polish Haul! Is this similar to zoya blaze? My only Picture Polish is Violet Femme, which I love. I have been admiring Monroe, though – if I do another Llarowe order any time soon I’m going to be highly tempted! i completely understand! i am already contemplating my next llarowe order for when i have money. Gosh, now I want this… I had thought it was a standard ‘red’ but the fact it is cranberry etc… Um. I love it!